Thailand follows the same normal business as in most other countries. Although it is common for many companies to work a half day on Saturdays, it is highly unusual for Thais to request a business meeting on Saturdays. Generally, Thais do not worry as much about being on time as many foreigners who visit the country. Bangkok’s traffic has eased a little in the last decade ago but the time it takes to get from one place to another can still be unpredictable. It is considered acceptable to be up to a half hour late for an appointment. It is also useful to note that Bangkok has no real central business district where most companies are located. However, the trend in recent years has been for many large companies to move to more suburban locations. Due to this, it is almost impossible to fit more than two meetings in one day, unless you are planning the third over dinner. Appointments are usually made at 10:00 in the morning or 2:00 in the afternoon. A visitor to the country may be surprised to find how long some things are open. 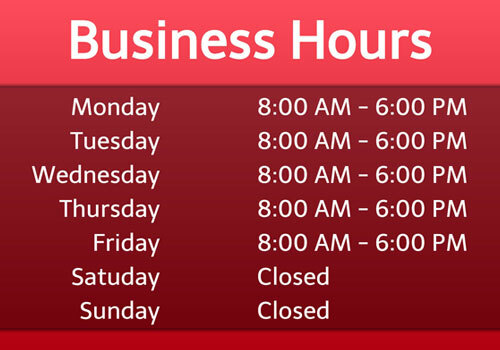 While typical opening hours for offices, government offices etc. are similar to those in the West, other places stay open far longer. Most government offices open Monday through Friday, between 8-8:30am and stay open until lunchtime. They typically close at 12pm for an hour re-opening at 1pm and stay open until 4:30pm. These offices will be closed for all Thai public holidays. Most regular business offices in Thailand are on a Monday to Friday schedule opening between 8:30-9:00am, depending on the company, and close at 5:30-6:00pm. However, it is not uncommon for Thais to stay working as late as 8-9pm. Most stores open around 10am, with some in more local areas opening at 9am. Once open, they stay open all day, until at least 8pm or even later. Shopping malls typically open between 10-10:30am and close between 9-10pm and they are open seven days a week. Even on public holidays, all large stores and every shopping mall are open. Supermarkets are open by 9am-9:30am and close between 9-10pm, although there are several that are open 24 hours a day, seven days a week. Food stalls on the street open as early as 6am to get the breakfast crowd on their way to work, and close as late as 10pm or later. Some areas of Bangkok even have food stalls still open at 1-3am, for the after-the-club crew. Restaurants are open at 10am and close between 9-10pm. A few only serve breakfast and lunch, but that’s extremely rare in Thailand, a country where people love to eat.